One to two feet of new snow had fallen. As the sun peaked out it became damp. 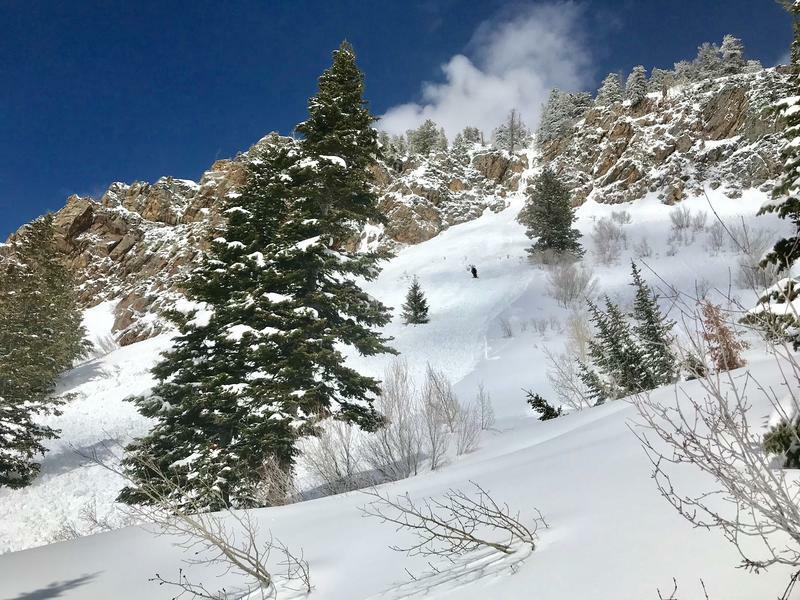 I snowshoed to above Lake Blanche Saturday morning. The weather was cloudy with intermittent light snow on my way up with little evidence of snow rollers or snow becoming damp or wet. 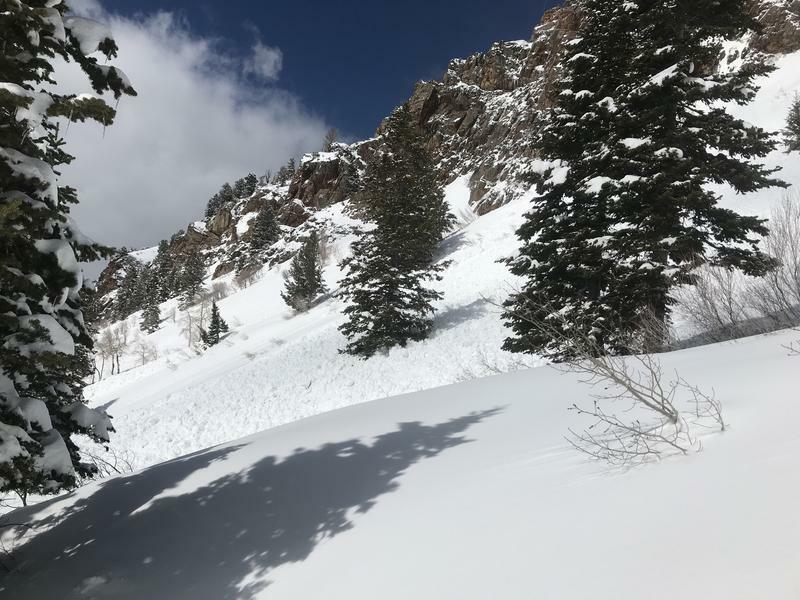 Once I was at Lake Blanche I continued to above the Lake Within an hour I heard what I thought very briefly was a jet but quickly recognized it as an avalanche. I then observed the slide which broke high in the cliff bands just below Lake Blanche. After snowshoeing another hour I headed down from above Blanche to the dam. My plan was to then take the lower (winter) route/trail to avoid the wet release risk. I also heard additional avalanche(s) and encountered a couple of people heading up just below the Lake. Two of which elected to hike down with me (the other person was shown the winter trail and suggested to follow our path out). They didn’t have snowshoes and were postholing pretty badly. I actually took a route lower than the winter trail to avoid possible problems at its terminus. In fact, we observed one of the avys slide very near the lower winter trail. 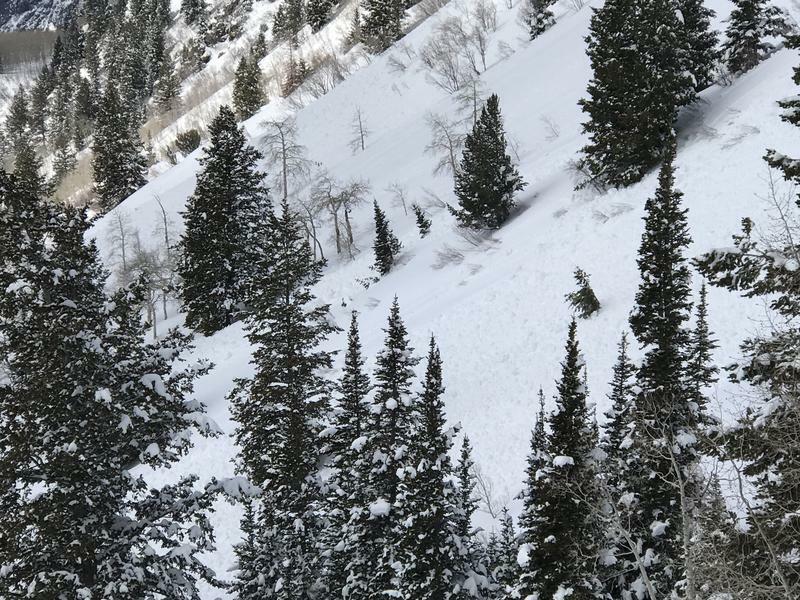 This avalanche path has ran at least two times this season. And I recall it running quite large in 2017 as well. And the north facing slopes above the meadow ran incredibly large back in 2011. 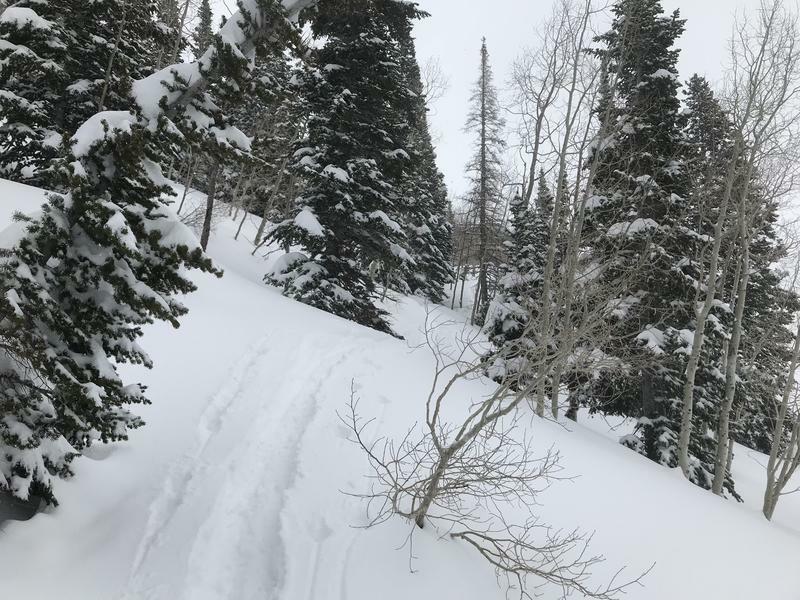 People heading up Mill B South need to use caution and have the necessary backcountry skills to be safe.